Mothering can be a lonely business at the best of times, and it can feel especially lonely if you don’t have any close family or friends nearby. 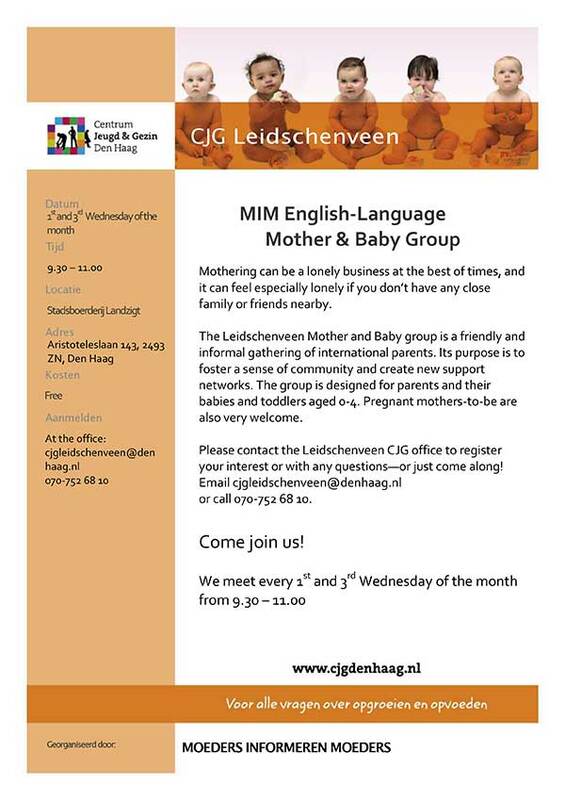 The Leidschenveen Mother and Baby group is a friendly and informal gathering of international parents. Its purpose is to foster a sense of community and create new support networks. 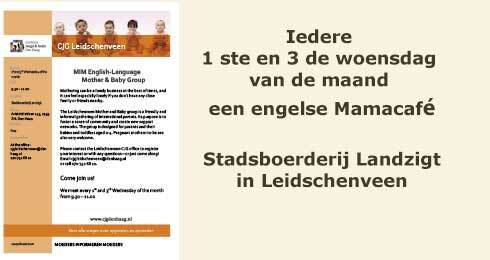 The group is designed for parents and their babies and toddlers aged 0-4. Pregnant mothers-to-be are also very welcome. or call 070-752 68 10.